ROAD TOWN, Tortola, VI- The man who has taken an oath to put the Government’s feet to the fire, to uphold the democratic process and good governance, has made several calls for improvements to the way things are being done in the House of Assembly (HoA). Leader of the Opposition and Chairman of the Virgin Islands Party (VIP) Honourable Andrew A. Fahie (R1) has called for a more comprehensive review of the modus operandi on how bills are being passed in the Virgin Islands (UK). Speaking in the HoA, under “Other Business”, on Thursday April 20, 2017 Hon Fahie said it is of great importance especially when members of the public question them on the bills. 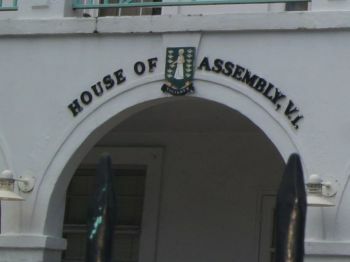 While dismissing that it is his inability to keep up with the pace, Fahie said when so many readings of the various bills are done, the question and answer period and other areas are drastically reduced. Hon Fahie even went as far as saying that the bills were “not given 100 percent” when they were passed. In his remarks, Premier Dr The Hon D. Orlando Smith (AL) said he will “review” the way things are done and even suggested that informal meetings be held prior to the HoA sittings so that everyone will have a better understanding of the bills to be passed. “I do understand his concerns,” he said in response. He is not fast asleep. He is like Capt. Jack Sparrow, you think he is sleep, but he is one of the sharpest Captians around. This is the reason why we are where we are right now. This is a Hussain Bolt Parliament.. everything done fast, quick and speedily.. we go bathroom before we come out law done pass... Not just NDP. VIP did the same... I Agree with Fahie time to slow down. Give People Chance to think. When ndp missing how come you do not see that? 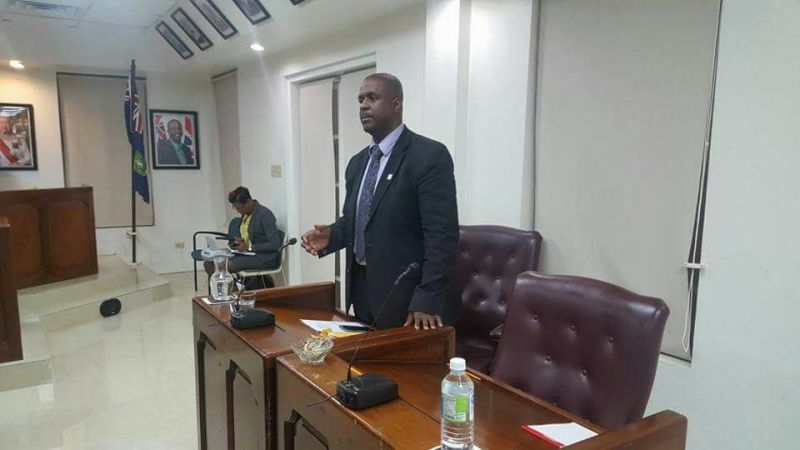 In total agreement with the Hon Andrew Fahie, D-1 Rep and Leader of the Opposition, that legislation should not be rushed through the HOA, unless there is an emergency or an urgent need. In fact, unless there is an emergency bills should not have all needed readings in the same sitting. Further, there should be a certain time lapse between the 1st and 2nd readings. This gives the electorate time to persuse the legislation and make comments. The electorate is left out of the bill passing process. The electorate, the key stakeholder and those affected by legislation, seem to have the least input. Futhermore, specific time should be dedicated for public comment on bills. Electorate need to get engaged. If we are a democracy, we must behave like it is a democracy. Dictators make people do things; whereas, leaders make people want to do things. We must act like leaders. Lopsided government anywhere is bad news. Often coalition government is better choice. If the score were say 7-6 or 8-5 or 11-2, things may be better. I am with you 1000%!!! The bills need to be read on 3 separate occasions. It used to be the exception that a bill's reading would be twice or thrice in one sitting but now NDP make that the rule. Lack of transparency is all!!! Give the public time!!! Great observation. Why did it take so long to address it? It is wrong, dead wrong, to have all the readings on the same day. Blatant lack of transparency and total disregard for the peoples' opinions. Where is the input from the politicians' employees (we, the people?). When will we ever learn? Yes, a chicken will be eaten occasionally, but, I guarantee you the mongoose will be held to account. The Premier job is simply too large and complex for a man of his grossly diminished abilities.